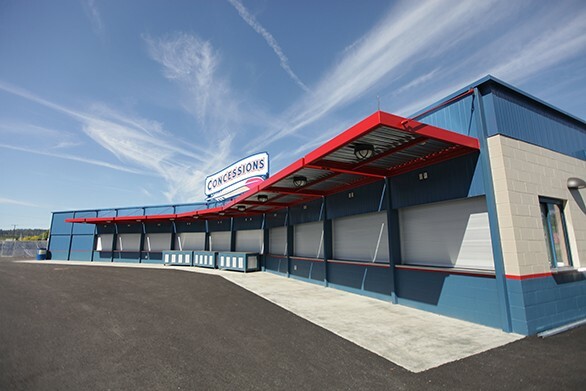 A new concessions stand will welcome fans this year. 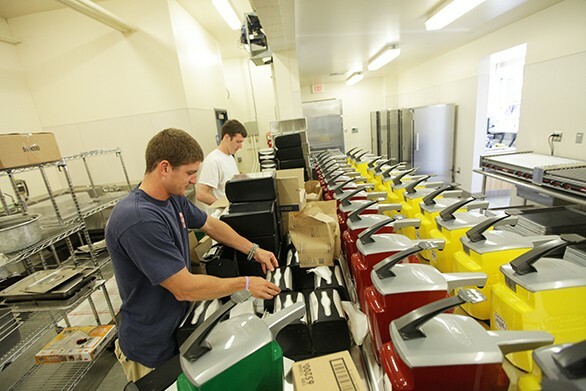 Concessions Managers Ryan Jones, left, and Brian Sinclair fill napkin holders. 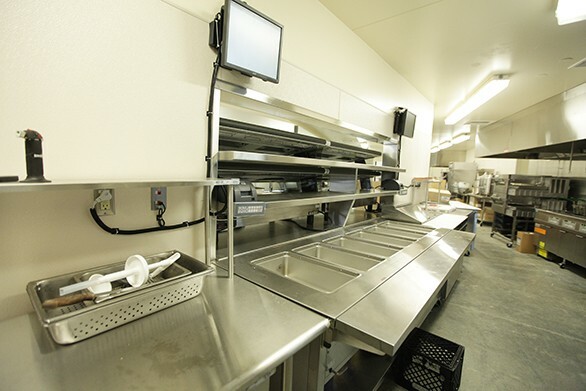 New equipment fills the concessions stand. 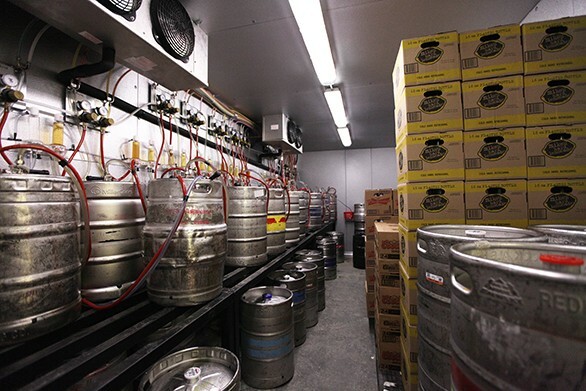 A freezer holds beer kegs at the new concessions stand. 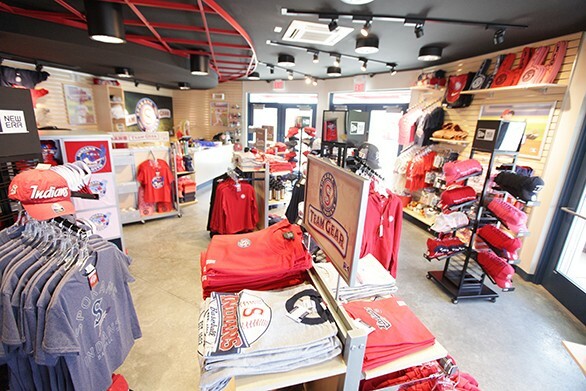 The renovations include a new team store. Mackenzie Dandoy, left, rings up a baseball cap for Chuck Helmuth at the new team store. 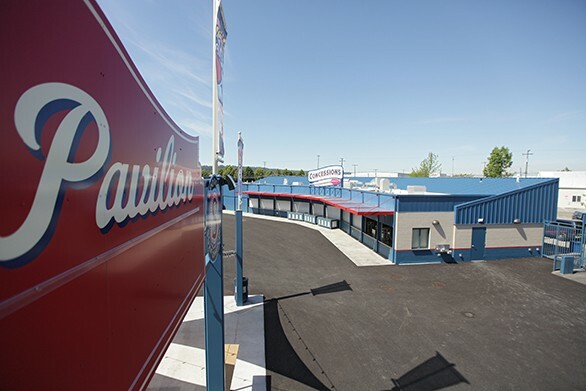 Helmuth had just picked up his season tickets, which he has held for the past 25 years. 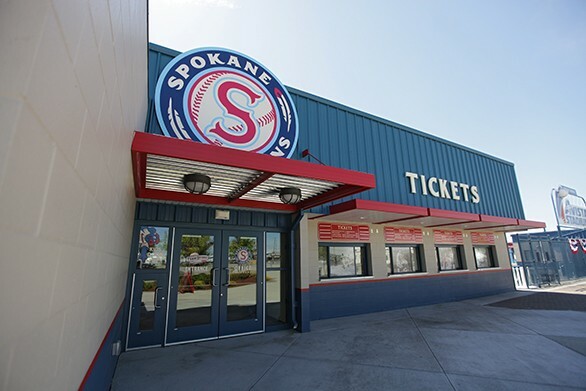 Spokane Indians gear of all sorts can be purchased at the new team store. 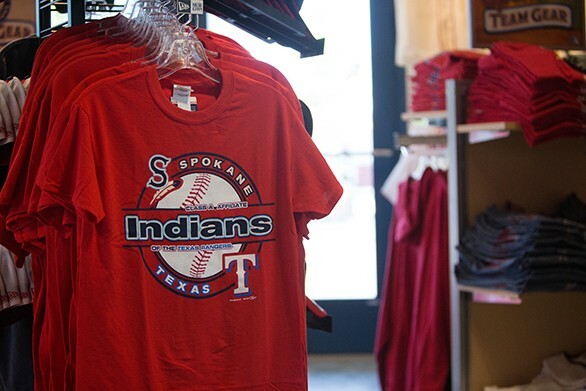 Spokane Indians/Texas Rangers shirts are also available. 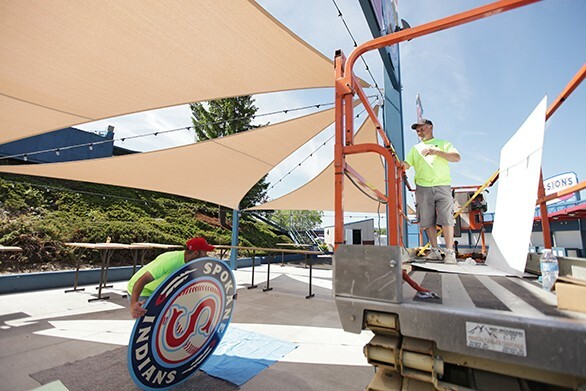 Cassel Promotions & Signs employees install a Spokane Indians sign at the new First Pitch Pavilion, which will be a place for fans to hang out during the game. 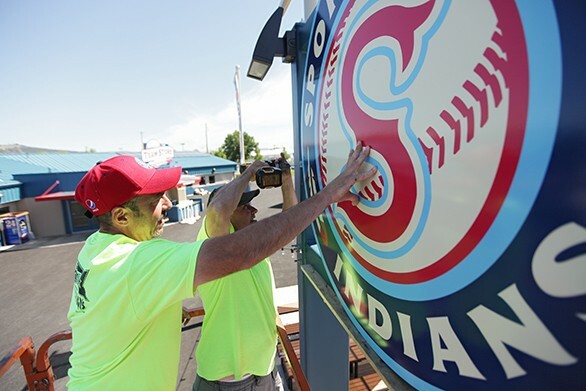 Cassel Promotions & Signs employees Todd Mascarin, left, and Ed Hoffman install a Spokane Indians sign at the new First Pitch Pavilion. 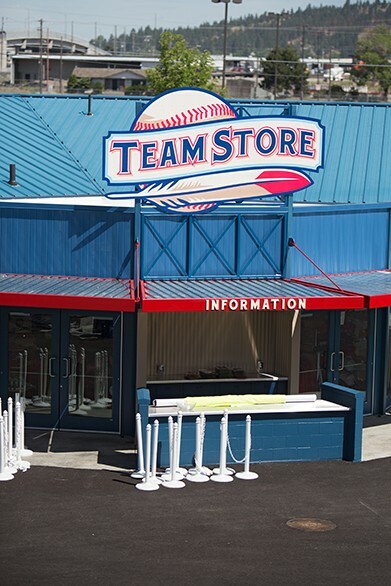 The new First Pitch Pavilion will be a place where fans can hang out during the game. Part of the redesign is in the front office entrance and ticket area. 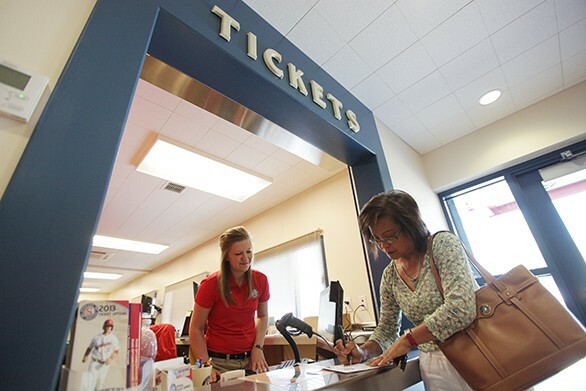 Socorro Erickson, right, a 16-year season ticket holder, signs for her tickets as Ticket Office Manager Kary Huls looks on. 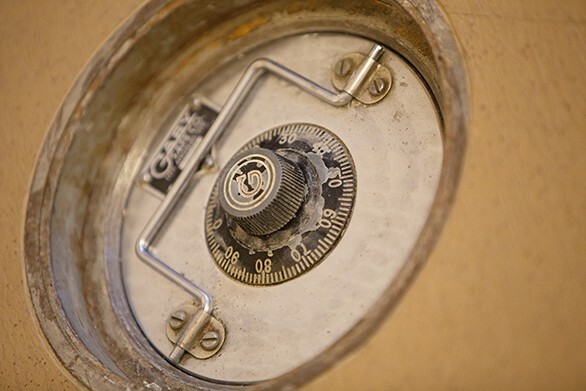 During front office construction, a floor safe was found. It may or may not be opened this season. 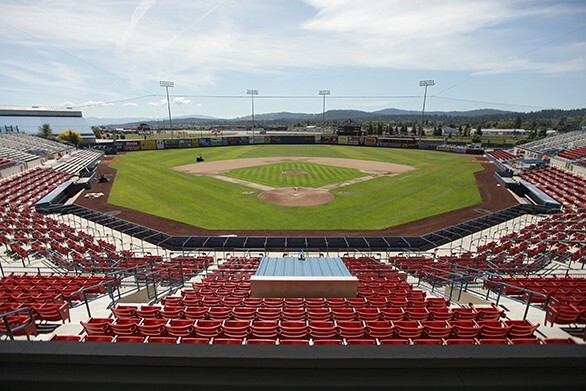 Avista Stadium is ready for opening day.